When Toni was just five years old, she was removed from her home and placed into foster care. An adult family member had been abusing Toni, and the state terminated her mother and father’s parental rights. Toni then spent the next several years locked in psychiatric hospitals. When Toni was 12, a judge reviewing her case felt it was so severe that she appointed Kathleen Dumitrescu, an attorney in our Disability Integration Project, as her guardian ad litem. Kathleen began meeting with Toni regularly, bringing along books to read together. Toni had been isolated and alone for a long time, but Kathleen discovered as they flipped through the pages of Pinocchio and Marvin the Ape that Toni has a great sense of humor. Kathleen began taking steps to bring some order and consistency to Toni’s life. She got the facility to reduce Toni’s heavy dosage of medication and arranged for regular visitors to come spend time with Toni. She also got her an Individualized Education Program, so Toni could resume attending school in the facility. Toni made great strides and moved to a different facility in Kennesaw with a better school. She began attending speech language therapy, and Kathleen worked with the facility to develop a behavioral therapy plan. 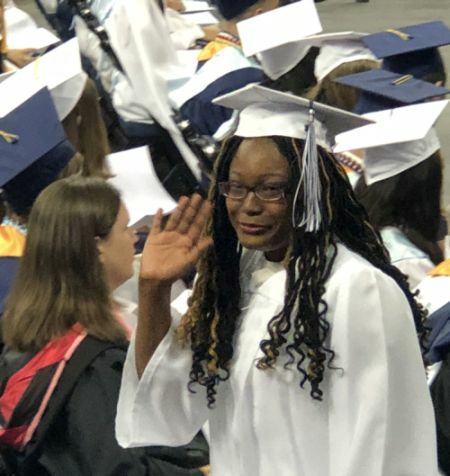 Although Toni made impressive progress during her two-year stay in the Kennesaw facility, because Toni has both intellectual and behavioral disabilities, there were almost no options when she was ready to return to the community. Foster care agencies were not willing to accept her because of the level of care and oversight she required. After transitioning between several more facilities in the years that followed, Kathleen eventually got Toni accepted into a brand new pilot program in Gwinnett County that provided enhanced therapeutic foster care. Toni would live in her own apartment with no other foster children and was assigned specially-trained foster parents. This program meant that she no longer need to move as frequently. Toni finally had a solid foster home so it was time to focus on her education. Kathleen negotiated hard with the school system to keep Toni out of a separate psycho-educational school and instead, Toni was paired with a one-on-one aid. With her behavioral aid at her side, Toni walked into a regular school for the first time since kindergarten. She surprised everyone, including the local school system staff who eventually became some of her staunchest allies. Despite the uphill battles that Toni has faced and continues to face, she enters every situation with optimism, assuming good things will happen. She is dauntless, always looking forward to something new and feels ready to start her life. This May, Toni graduated from Norcross High School with a regular diploma at the age of 20. Toni worked incredibly hard to achieve this goal, and Atlanta Legal Aid has been with her every step of the way for the last eight years. In under a year, Toni will age out of DFCS custody and will be confronted with a new set of challenges. She is currently going through a vocational rehab job assessment, which could set her up for future supported employment, but Toni will have trouble finding safe, affordable housing. She wants to be part of the community but will always need additional support to manage her disabilities. There are few resources for children with intellectual and behavioral disabilities who age out of the system, yet Kathleen and Legal Aid will continue to fight to get Toni the support she needs.